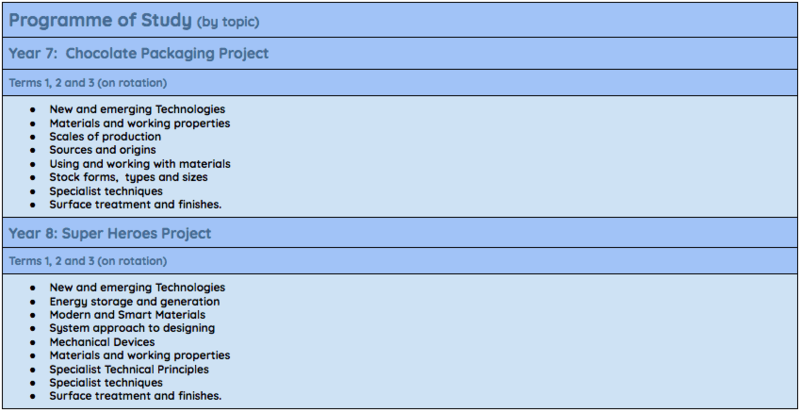 The Design & Technology curriculum area is located in Block 2: QUESTION. Design & Technology is an ever evolving subject that allows our pupils to be creative, imaginative and inspired.  Under the guidance of our talented and experienced staff, pupils produce work of a very high standard that is focused on problem-solving. 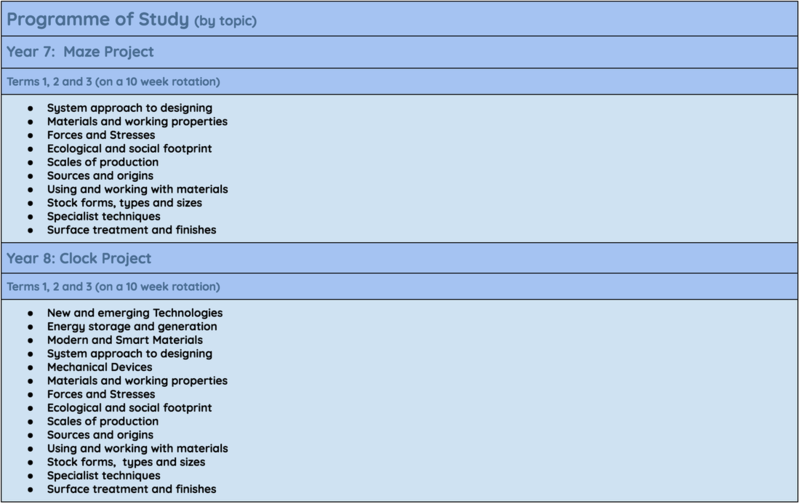 Design & Technology is located in a well-equipped set of classrooms including product design, CAD-CAM suite, DEC (Design Engineer Construct), food and graphics. 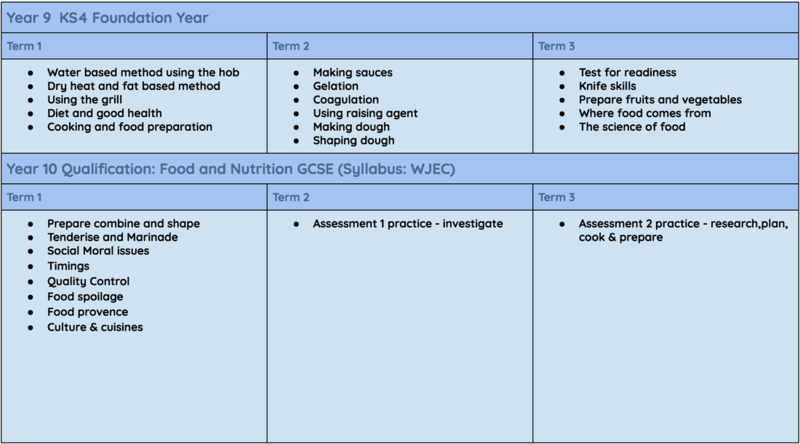 Graphics is studied by all students at KS3 for part of each year. Graphics can be studied at GCSE level with new Design Technology GCSE. 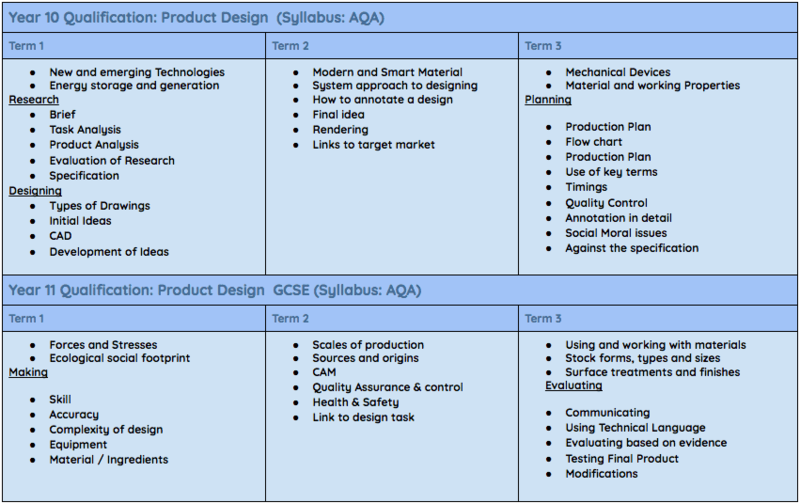 Product Design is studied by all students at KS3 for part of each year. 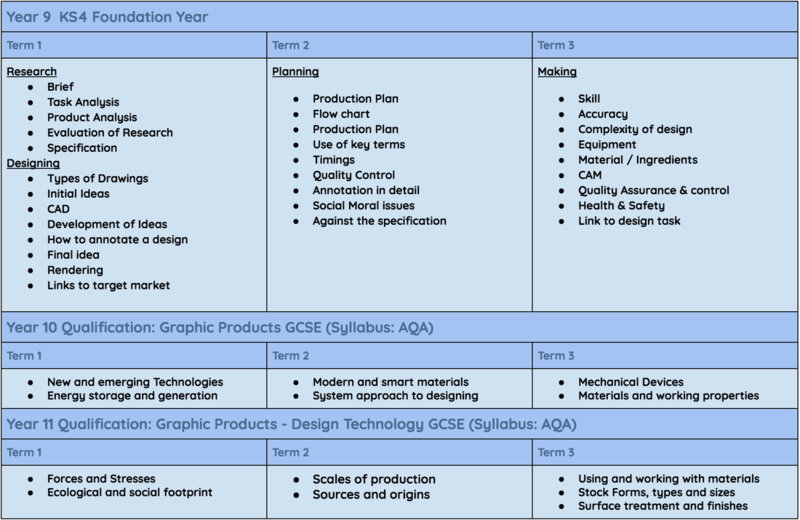 Product Design can be studied at GCSE level with new Design Technology GCSE.